Worried by the recent spate of building collapse across the country, especially the one on Lagos Island, that involved school children, where scores of them lost their lives, Governor Okezie Ikpeazu made out last week to visit some schools in the state on an overnight tour. The visit, SEV learned was for overall assessment of the schools in terms of the structure, environment, academic standard, among other qualities, and warned that the Government would clamp down on substandard schools in the State. 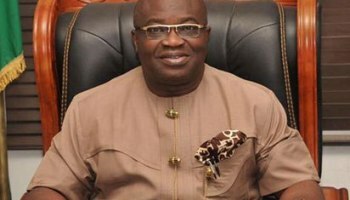 Ikpeazu insisted that all the schools must meet minimum standards. In particular, warned that schools cannot be allowed to run on flats in the State. He said his government is very serious about the quality of schools and their outputs. SEV observed that many private schools operate from flats in both Umuahia and Aba and in smaller towns. Ikpeazu also directed private school proprietors to ensure that their school buildings must be solidly constructed with sporting facilities.